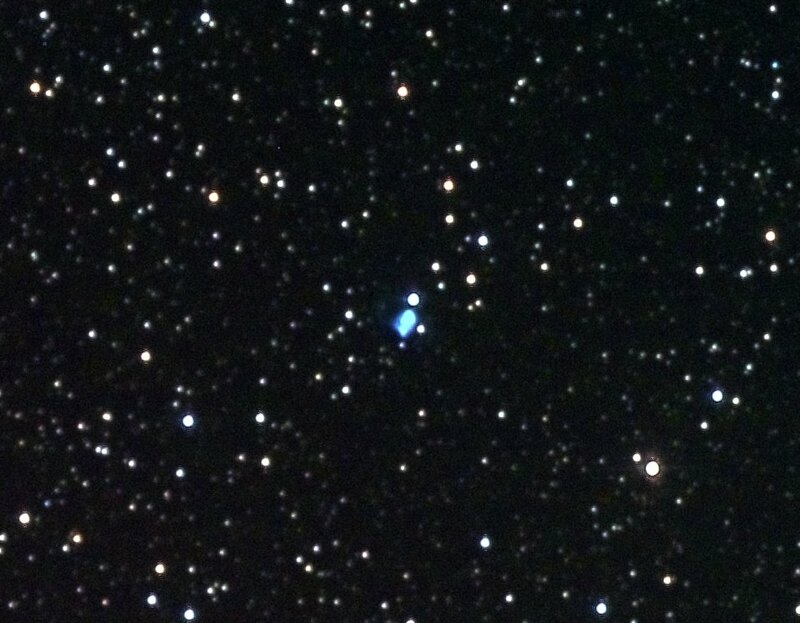 Planetary Nebula Oph 7h14.1 -12°55' 50" 11 7 Kly ??? 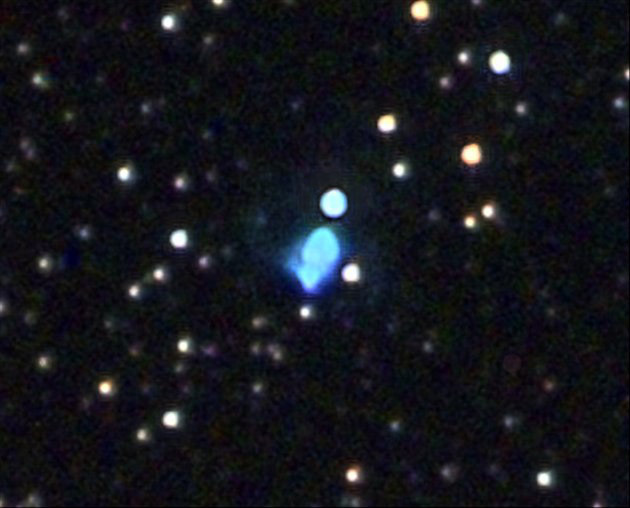 NGC 6309 is a very small planetary nebula in constellation Ophiuchus at an uncertain distance of about 7,000 light-years. Nebula detail, sampled at .35"/pixel. Some few details seem visible, but could be artefacts.